Beginning with the 2015 model year, all new Honda automobiles will be covered by a 24-hour nationwide roadside assistance program for the 3-year/36,000 mile new vehicle limited warranty term. The 2015 Fit and Pilot are the first vehicles in Honda's lineup to benefit from this upgrade to Honda's customer service program. Arrange to transport the vehicle to the nearest Honda dealership. Additional program benefits include trip interruption reimbursement, alternate transportation2, hotel reservations2, airline information, message relay and directory assistance. 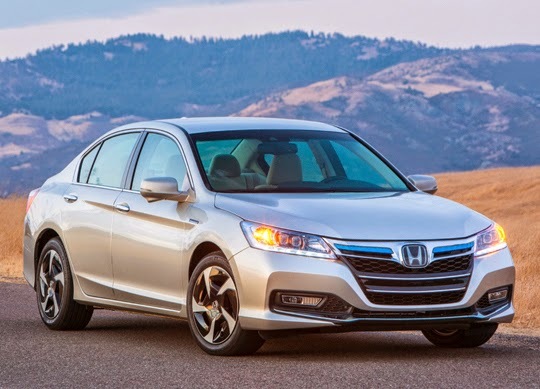 Honda Roadside Assistance provides reimbursement consideration for up to $300 in expenses incurred during the first three days following a vehicle disablement that occurs 100 miles or more away from the Honda owner's primary residence1. This is to cover such costs as food, lodging, alternate transportation, a rental vehicle and/or commercial transportation. Upon request, Honda Roadside Assistance will attempt to secure a rental vehicle or taxi for the Honda owner and will assist in locating emergency lodging when away from home. The service can also provide information such as airline flight times and fares plus enhanced directory assistance for the location of nearby service stations, ATMs, banks, etc., including telephone numbers, addresses and directions. Should an emergency arise, Honda Roadside Assistance will attempt to contact persons for whom telephone numbers are provided, such as the owner's spouse or workplace, in order to relay important messages. 1The total Trip Interruption benefit is $300; $100 per day for three days maximum. Costs for reuniting the Honda owner with the vehicle are included in the total of $300 maximum benefit. 2Any third party costs (such as vehicle rental, taxi, lodging, flight fares, etc.) associated with the rendering of the Trip Continuation Services shall be borne by the driver requesting such service. 3Two gallons provided, not to exceed twice in a calendar year. Requires VIN at time of service request. 4The program covers owners up to $100 for emergency lockout services. That is really very nice news for all Honda lover. It adds stars to Honda service. Roadside assistance is very essential for car owners. It is great news that a vehicle manufacturer would offer assistance for their new cars. It shows that they have a lot of confidence in the durability and sustainability of their new cars. I wish I had something like this when my old Ford broke down on the side of the road. Luckily I had roadside assistance that towed my car to a nearby repair shop. I've never needed roadside assistance before until this past summer and I'm so glad that I was able to receive assistance. I was stuck in the middle of nowhere in the Nevada desert. I was trying to make my way back to Washington after a vacation in Vegas. This is such a great idea. Roadside assistance is so important. I remember when my car broke down a few years ago and I called roadside assistance. It helped me so much. That is a new method to sell cars. I wonder if I can get this deal since I have an older model Honda? I am a disabled driver and I am always paranoid about breaking down in some random out of the way area.